To provide my valued customers with a beautiful living space through tried and true application of color, craft and customer service by offering expert paint and wallpaper application, unique wainscot and trim installation, color consulting and referral of other quality minded tradesman. Neat, clean, knowledgeable and courteous craftsmanship each and every time. Craftspeople you can depend on. That’s more than just a catchy slogan. It describes the mindset that has allowed this Company to offer excellent craftsmanship for better than three decades. The promise of giving you, my valued customer, a finished product that will last many years beyond that of the status quo paint, stain or wallpaper job. Every job is done well and done right the first time by the owner of the Company, a true craftsman, all in the name of saving you time, anxiety and the cost of having to repay to paint or install paper a second time. 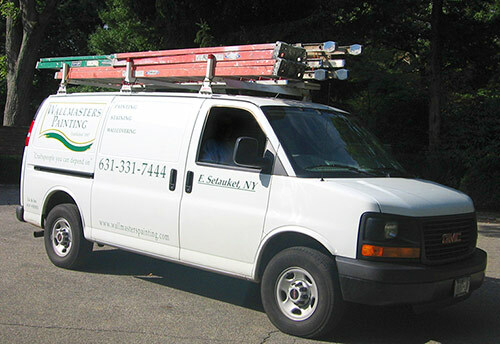 Wallmasters Painting, Inc is licensed and insured, and is proud to continue to serve residential customers throughout most of Suffolk County. An expression of principles of proper conduct in the pursuit of our industry as related to the public, our fellow contractors, our employees and this organization. To conduct our individual operations according to the highest professional standards. To develop through continual study, the highest degree of technical knowledge of our industry. To present a broad and favorable image of our industry. To promote the use of all legally operating painting contractors.